Looking to get behind the wheel of your perfect car without spending too much money every month while building your credit at the same time? Here at Crestview Chrysler in Regina, our financial experts will work with you to see if traditional financing or Customer Choice Financing best fits your current fiscal capability. Auto financing for Southey residents is just one consultation away! To reach Crestview Chrysler from Southey, start out heading south, and make a left toward SK-6 S. Take the second right onto SK-6 S and drive for about 55.5 km. Once you reach 1st Ave., make a U-turn when it’s safe, and you’ll see us on the right. We’re just 41 minutes away! Monthly payments are consistently lower than other financing methods, making it easier to drive vehicles on the higher-end of the price spectrum. Payment increments are adjustable. Depending on what works best for you, you can make monthly, semi-monthly, weekly, or bi-weekly payments toward your vehicle. 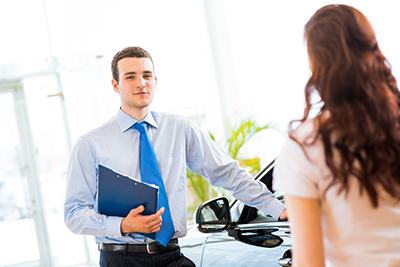 With vehicle return option dates ranging from 36 months to 60 months, you can finance a newer car sooner. If you prefer the car you’re in now, you can continue to make payments up to 60 months with amortizations up to 96 months. There are no safety inspections, extra taxes, or fees added to your payments in the event that you choose to pay off the remaining balance of your loan at the return option date mentioned above. Due to the fact that Customer Choice Financing is an open agreement, you can also pay everything down or off whenever you wish without penalty. When the vehicle return option date does come around, you can return the vehicle, keep it, and pay off the residual balance, or continue to finance the loan for up to 96 months during the amortization period. If you’re interested in exploring the purchase of any new Dodge, Chrysler, Jeep, or Ram vehicles, give the Crestview Chrysler sales associates a call at (306) 525-5411 or come visit our dealership at 601 Albert Street in Regina. We’ll be happy to discuss the auto financing options available for Southey residents. In the meantime, just fill out our secure financial application, and upon approval, we’ll be ready to help you drive off our lot that same day!